The years 1968 through 1972 brought about a wonderful revolution – not the Sexual Revolution, but the electric guitar revolution. The top two guitar makers, Fender and Gibson, had already been offering their wares for a long time (with the “baby” among the brands being the SG, introduced in 1961). Other than that, Strats and Teles and Les Pauls had all been around for quite some time. What changed – dramatically – over that hazy four-year period was the tone that those venerable instruments began producing. Right about the time when the Beatles, the Stones and the Byrds were getting fat off bubble-gum songs about wanting to hold your hand, staying off of my cloud and Mr. Tambourine man, virtuosos like Jimmy Page and Jimi Hendrix began killing their audiences with their guitars (ones that were hanging on every music store wall) and the sounds that pumped out through their glowing Marshall stacks, overloaded on fuzz and wah and psychedelia. Music, like the nation, would never be the same. 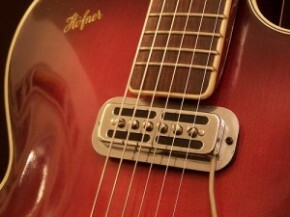 The supply and demand for guitars that deliver that classic tone and vibe has enjoyed a healthy existence ever since – the market has grown by leaps and bounds as the technology has accommodated heavier playing styles, with Fender and Gibson continuing to satisfy the hunger for brighter and meatier tones, to say nothing of the artistic beauty of the instruments themselves. 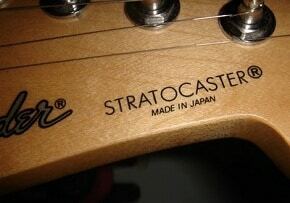 The two companies have long since assumed their roles in the guitar market. Fender is a larger company that sells not only guitars (and dominates the bass guitar market), but also moves amplifiers, cables, straps, picks, parts, T-shirts, beer mugs and most anything else that will sell if it has their name on it. 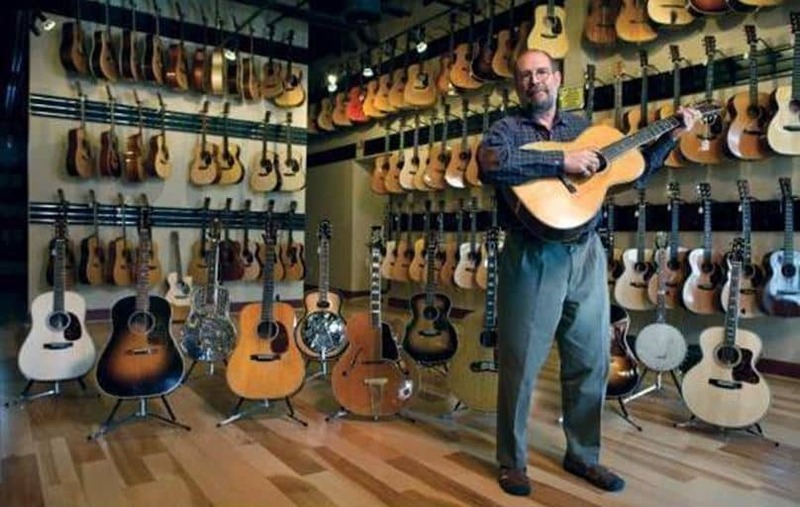 Gibson, on the other hand, sells far fewer instruments, but has a reputation and products that entice people to shell out the thousands of dollars that the company asks for its guitars. Fender also owns numerous spinoffs, not just the well-known Squier but also Jackson, Gretsch, Hamer, Guild, Tacoma and Charvel, among others, while Gibson has its overseas partner in Epiphone and also oversees what’s left of the Kramer line (who knew?). Even though Fender has bumped up their prices notably in the last couple of years – might as well, since Gibson set the bar so high – they still sell an awful lot of units worldwide. 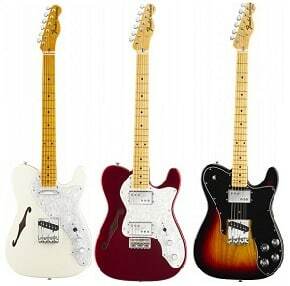 Whatever else they’ve got going on, obviously, Fender’s two stakehorses are always going to be the Stratocaster and the Telecaster. 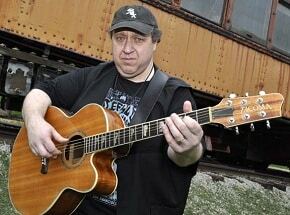 Whereas the purchase of a new Gibson amounts to a hard-earned extravagance, it almost seems like a rite of passage to many guitarists as they climb the Fender ladder, from the Squier guitars of their youths through the MiMs of young adulthood to the American-made guitars they’ll own and love through their career years – rather like graduating from a Nova to a Camaro to a Corvette. In order to make up for the shortcoming in the number of models (compared to the Gibson lineup), Fender has always been happy to put out some very interesting variations on the Strat and Tele platforms, with the latter seeming to lend itself more so to adaptation. The number of versions of the Telecaster over the years has made it a profitable venture for Fender to release re-issues of its most popular models, such as the ’57, responsible in part for nursing rock-and-roll through its infancy. In that late ’60’s/early ’70s revolution, though, music turned a developmental corner which propelled us all to this point. They say you can never go back, and they might be right, but Fender’s new line of America Vintage series Telecasters makes for a pretty affordable time machine these days. Stylistically speaking, this triumvirate of throwbacks is definitely living in the past, with the body hidden behind a half-acre of pickguard and no options other than a maple fretboard. In other words, if you want a Tele outfitted any differently than what the American Vintage series offers, you’ll have to pick up a different model (of which there is no shortage). Two of the three new releases sport the beloved Thinline semi-hollow bodies with a single f-hole cutaway bringing that extra twang into the room. As per Fenders plans, the two Thinlines are remarkably different in their outfitting, quite distinct despite being essentially the same guitar, enough so that many enthusiasts will feel compelled to acquire both of them. The ’69 Telecaster Thinline has a mahogany body that comes with a thick lacquer finish. The maple fretboard and headstock also boast a generous application of Fender’s clear-coat. It’s loaded with the classic Tele pickups, a single coil in the bridge and the “lipstick” up at the neck position, with a top-hatted three-way switch. This combination has served players well throughout the evolution of amplified music, lending itself to a variety of genres – rock, blues, country, jazz, punk, funk. The F-style chrome tuners bookend nicely with the hard-tail bridge, and like all the American Vintage Telecasters, it has the standard-size C-style headstock – no flashy, oversized pole-axes like the ’72 Tele Deluxe guitar. The ’72 Telecaster Thinline, like the Deluxe, hearkens back to Fender’s nod in that same year to the double-humbucker setup that had so many musicians making the leap to Les Pauls or SGs. Wired to a semi-hollow body made of ash, the double-coil pickups add plenty of bark and bite to the howling sound that the Tele already let out, with one volume and tone knob each and a traditionally-mounted 3-way switch. The ’72 Thinline is the only model among the American Vintage series without the gloss finish, and the only one that utilizes a hard-tail bridge with six adjustable saddles (the others have ashtray-style bridges with triple barrel saddles) and a 3-bolt neck plate with Micro-Tilt adjustment. The third guitar in the American Vintage series is the solid body ’72 Telecaster Custom, also made of ash, with a single coil bridge pickup paired with a humbucker in the neck position. With the ashtray bridge, it should fulfill the wants and needs of those who went halfway and bought the Made-in-Mexico Nashville Tele and found it to be wanting. With two volume knobs and two tone knobs, and a three-way switch (complete with aged tip) mounted on the upper half of the body (a la, again, the Deluxe), this guitar will provide the sort of punch and squeal that will satisfy just about any playing style. That’s what it has always boiled down to with the Telecaster, Fender’s closest thing to the Les Paul (since the Stratocaster has always been a creature of a different stripe entirely), a guitar whose widespread appeal receives the ultimate testimony from the diverse list of musicians who have favored the Tele over all other axes: From Albert Collins to Frank Black, from Joe Strummer to Keith Urban, from Izzy Stradlin to Jay Mascis, from Bruce Springsteen to Muddy Waters, from Keith Richards to Vince Gill. That’s quite an impressive spectrum, which makes sense, because the Fender Telecaster – this latest American Vintage incarnation included – has always been quite an impressive guitar.